If you work for a large company, you probably have test equipment that is routinely calibrated. Some companies have their own metrology labs and others send out to an external lab. In a garage lab, you are less likely to do calibrations and — in our experience — that isn’t usually a problem. Still, it is nice to be able to do at least a sanity check on your gear. Also, if you buy old test gear and repair it, it would be nice to be able to check it, as well. [IMSAI guy] built his own little calibration setup, adding to it over the years, and he shares the details in a recent video, which you can see below. The board started out simply as one voltage regulator and some 0.01% resistors. Over time, though, he added a few more bells and whistles. The setup isn’t going to rival a NIST-traceable lab setup, but for your garage it is perfectly fine. As children, we all probably had our ideal career paths. As an adult do you still harbor a secret desire to be an astronaut, or to drive a railroad train? Or have holders of other jobs become the people you envy? As a Hackaday writer it’s probably not too controversial to admit a sneaking envy for the writers of semiconductor application notes. True, often their work consists of dry demonstrations of conventional uses for the products in question, but every once in a while they produce something off the wall and outside the device’s intended use, so out of the ordinary that you envy them their access for experimentation to the resources of a large semiconductor company. Take Texas Instruments’ Application Report SBAA203, from May 2013. “Stacking the REF50xx for High-Voltage References” (PDF). A laboratory specialising in accurate measurement of high voltages had the problem that the stacks of Zener or avalanche diodes they were using as voltage references lacked both precision and stability, so investigated the properties of the REF5010 10V precision voltage reference. You’ll never be satisfied with a mere Zener diode again. They found that by ignoring the device’s data sheet and directly connecting its output pin to its power pin, the REF5010 became equivalent to an ideal Zener diode. 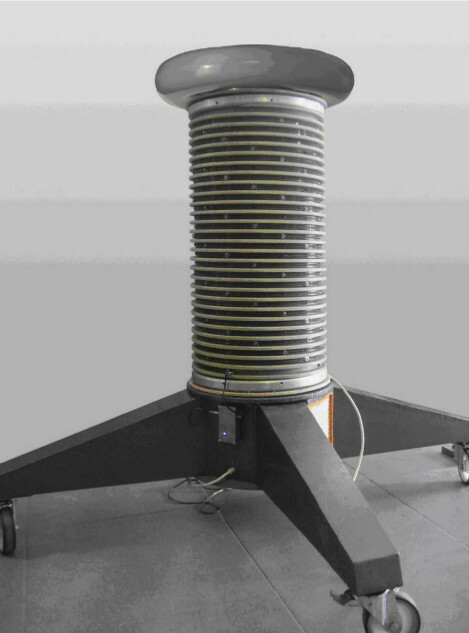 In this mode multiple references could be stacked in the same way as a real Zener diode, and very stable and high-precision voltage references could be created with very high voltages. They made a PCB with ten stacked REF5010s for a 100V reference, and then stacked ten of them for a 1000V reference. Leaving it for 24 hours to settle, they achieved a precision of +/- 2.5ppm, and after 3.5 months their average reading for the ten 1000V references they built was 1000.022V. The 1000V reference would be impressive enough, but they weren’t finished. They built a series of boards holding 500 REF5010s for a 5KV reference, and stacked 20 of them to make a 100KV reference. These boards were mounted in a tower looking not unlike the Tesla coils we sometimes feature here. They note that it probably hits the record of simultaneous use of TI parts in a single device. This may well be the first extremely high voltage precision reference to feature here at Hackaday, but we’ve certainly had our share of HV articles. Earlier this year we had a trio from [Steven Dufresne]: A conucopia of high voltage sources looking at ways to make your EHT, High voltage please, but don’t forget the current looking at selecting the right HV power supply for an application, and Wrangling high voltage looking at construction techniques. Thanks [Nathan] for the tip. So you just scored a vintage piece of test gear, or maybe you just bought a fancy new DMM (Hmm…We love that new multimeter smell!) But can it read voltage accurately? How can you be sure? Well, that’s why you should build yourself a voltage reference box. Youtuber [Scullcom’s] latest video has you covered. Wants some specs? Sure. 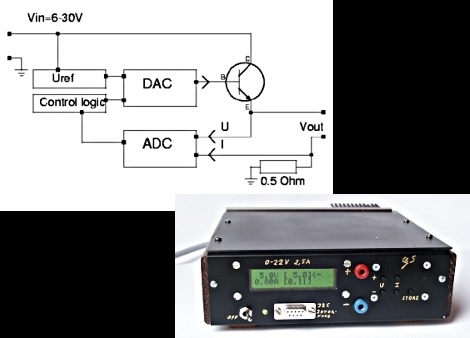 How does a precision 10v and 5v output with only ±0.025% and an amazing 2.5ppm/°C sound? That’s very impress for something you can cobble together yourself. We find it interesting that he actually uses some ebay parts to pull off this build. The LiPo battery, USB LiPo charging circuit, and boost regulator are all sourced from ebay. Not to worry though, as these parts are only used to supply power to a 15 volt linear regulator. 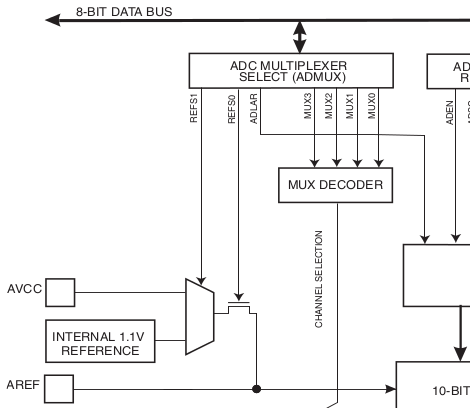 The real magic happens in the Texas Instruments REF102 precision voltage reference. You give it a decently clean 12-36 volts, and it will give you a 10 volt reference out. These amazing chips are able to obtain such precision in part because they are calibrated (or more specifically “laser trimmed”) from the factory. A secondary output of 5 volt is achieved by using a differential amplifier. We think it’s a great learning experience to tear back the veil of abstraction and learn a bit more about the hardware found on an Arduino board. This project is a great example. [Scott Daniels] takes a look at the other voltage measurement options available to AVR chips used by Arduino. If you’ve used the analogRead() function then you’ve already measured a voltage using the Arduino. But do you know what is going on behind the scenes to make this happen? The Analog to Digital converter on the AVR chip is being used to measure an incoming voltage by comparing it to a known voltage reference. That reference is by default the supply voltage line for the chip. This should be 5V but will only be as accurate as the regulator supplying it. [Scott] looks at the other voltage references that may be used. An external reference can be used by adding hardware, but that’s not the focus of his article. Instead he looks at using the 1.1V internal reference. He’s written some short example code that let’s you measure the incoming line voltage based on that internal reference. This is a very handy trick that can let you detect when the chips is running from a battery and how much juice is left in the cell. [Scott’s] been digging around the back issues of the Internet to find this project. He blew the dust off and sent us a link to an article that traverses the design and build process of a bench power supply. [Guido Socher] does an excellent job of presenting his bench supply project. So many others show of the final product, but he has gone out of his way to make sure we understand the design principles that went into it. He starts off by talking about the simplest possible supply design: a transistor and Zener diode which generates a reference voltage. He goes on to discuss the problems with this simplified circuit and how to address them, covering the gotchas that pop up at each step in the process. Once he designed the circuit and laid out some boards he began building an enclosure. We love his tip about using a stick pin and an unpopulated through-hole PCB to mark button locations on the front bezel of the case. The final design is shown above, and includes a laptop brick to translate mains power into a 24V 3A DC feed for his custom circuitry.